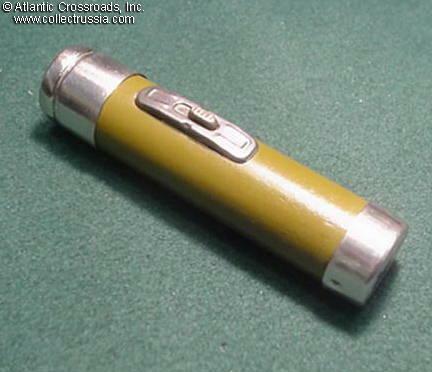 Map case pen light, circa 1940s-50s. Map case pen light, circa 1940s-50s. Military issue, marked on the battery cover. Includes old battery, no bulb. About 4" long.